Powerful software can be a game changer when it comes to successfully engaging the market. The VisualTrader Trading Platform uses advanced data visualizaton and market analysis to make it easy to trade with confidence. 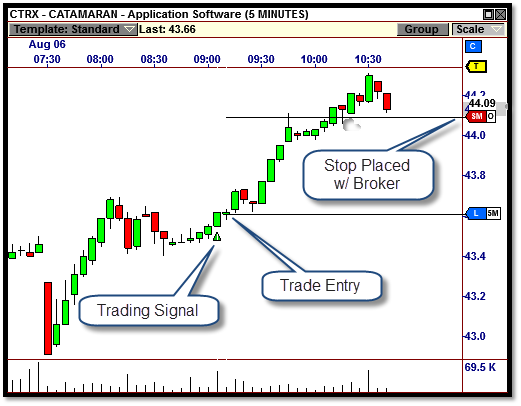 By combining an arsenal of trading tools into a simple, easy-to-navigate package, VisualTrader takes trading software to the next level. Once you see this technology in action, you'll see why VisualTrader is the industry's most advanced trading platform. Only VisualTrader gives you the big picture so you know exactly when and what to trade. 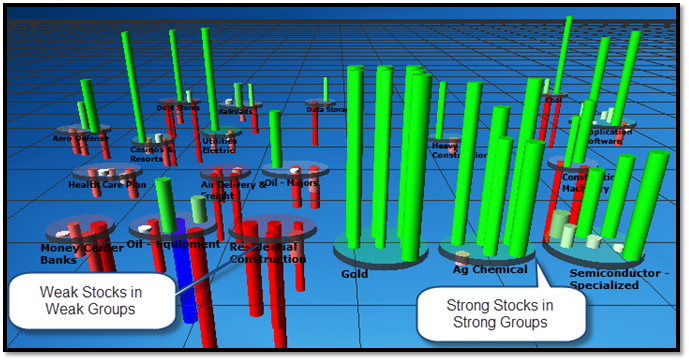 With VisualTrader's patented 3D view, you know when the market is turning, which industry groups are leading the move, and which stocks have the best setups. Not only will you see the best opportunities, you will also see them as they are beginning to form - well ahead of the rest of the pack! 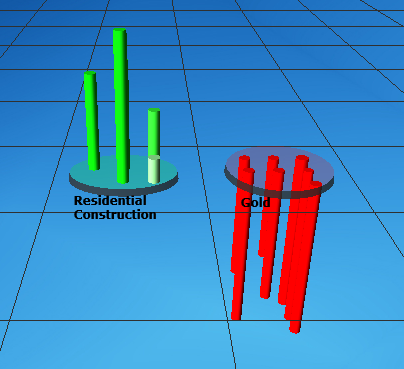 VisualTrader's unique 3D display not only gives traders a global view of the market, but it also provides a wealth of information on each security in the market. This type of trading firepower sets VisualTrader apart from all other trading platforms. In seconds, VisualTrader will help you find the strongest trading opportunities in the market. 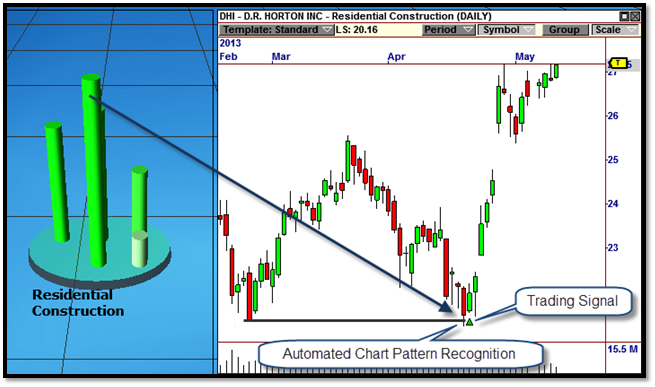 When you couple VisualTrader's exclusive market view with the built in Trading Strategies and Chart Pattern Recognition, confirming profitable trading opportunities is easier than ever before. Once VisualTrader has brought the best trades to your attention, you can easily engage the market by trading directly in VisualTrader's charts. You can enter a trade with only a few mouse clicks, and once you are in a trade, you can manage your position in the chart as well. Regardless of whether you trade during market hours or after the market has closed, VisualTrader shows you all the information you need to make profitable trading decisions. No other trading software makes it this easy to make money.